Selling heavy trucks requires a high level of product knowledge. Selling heavy trucks is different than selling cars and pickup trucks to customers for personal use. 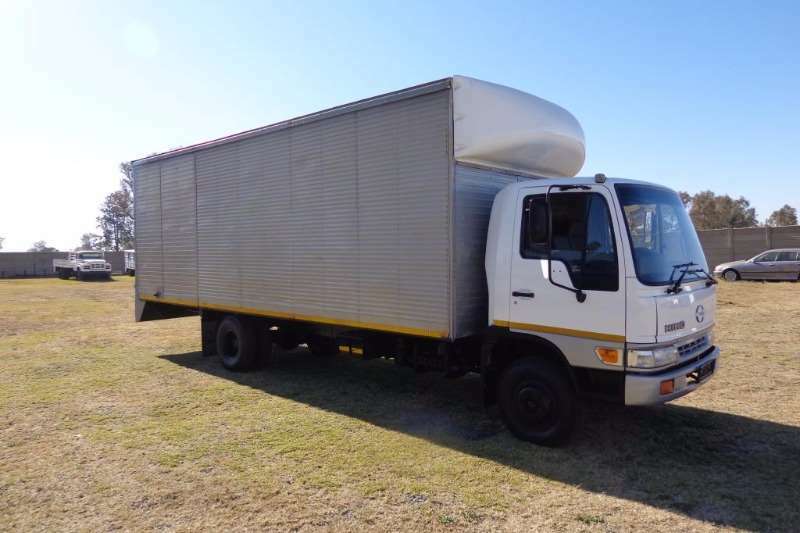 Your heavy truck customer is buying a new truck to use it to earn money for his business. The trick to successful heavy truck sales is to understand buying a truck for the commercial truck buyer is a process and not an on-the-spot decision. Heavy truck specifications are complicated. Truck buyers must decide on engines, transmissions, wheelbase lengths and tyre sizes. 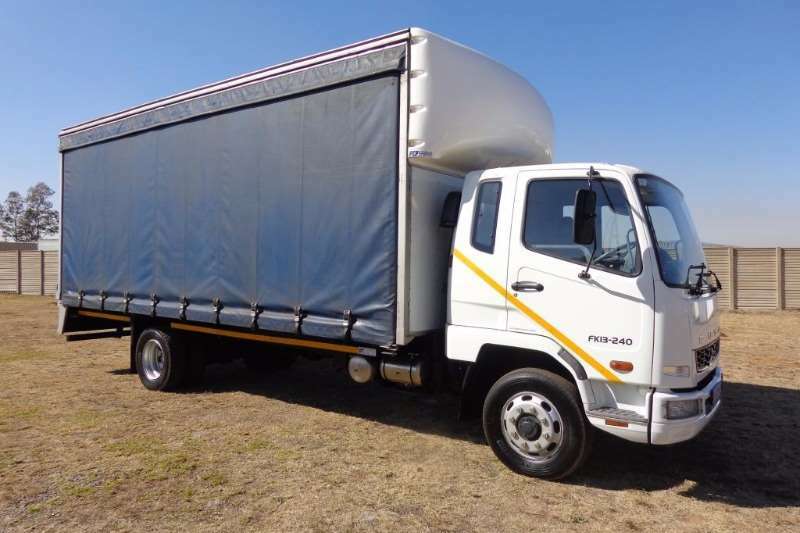 Different regions of the country feature trucks to conform with local laws and weight restrictions. Added to a basic truck can be equipment such as truck bodies or specialty equipment. Become the truck salesman who can show a customer which choices among all of these options will provide the right truck to meet his requirements. A benefit of selling heavy trucks is your customers will be regular buyers. Think of yourself as a partner in a customer's trucking business. You will be his resource for information concerning service and parts through your dealership. Make regular sales calls and visits to your customer's places of business. Learn how their business works, and when the time comes for a new truck, you will be the first and only phone call. Other truck salesmen may not take as much care staying in contact with their customers. Those customers are your prospects for new truck sales business. Do not be afraid to ask for a company's future business or the opportunity to put in a quote for the next truck purchase. Regular contact with potential customers will have them pulling out your phone number when it is time for a new truck. The specification printout for a new heavy truck is long and detailed. Do not use this printout as your main price quote literature. Write up a separate quote letter with the specification highlights that will allow the truck to perform the tasks the buyer needs. The selling tactic of highlighting a feature, then explaining the benefit to your customer will allow him to see how your truck proposal is the right choice for his business. When you start talking to a prospective customer looking for a new truck, you can take the lead in the discussion by asking a couple of questions. The first question: "What are you going to use the truck for?" will allow you to show how your trucks will meet his needs. The question: "How are you going to pay for it?" will allow you to close the sale by recommending financing sources and plans that will fit the customer's budget. For more information on marketing your business or a free quotation, please do not hesitate to contact us today. One of the best things about being a truck driver is there are many options within the industry for drivers to do what they want. Tanker truck driving is a great example. While it might seem similar to other types of driving, tanker drivers need their own special skill sets and knowledge to do their jobs well. Many drivers get extra training driving a tank truck due to the special challenges they pose. Driving a tanker isn’t like driving a dry van or reefer, and not all drivers like driving tanks. Before you jump in, you may want to take some time to get trained on food-grade trucks and see if tanker driving is right for you. The most important thing to understand about driving a tank truck is it’s not like any other kind of load. Tankers are challenging and tough to drive. That said, they also have some advantages that make them a great choice for some drivers. One of the biggest advantages of driving a tanker truck is that it pays well, especially if you want to pull hazardous materials. Another advantage to being a tanker truck driver is there’s generally less waiting than with other loads. Unlike dry van and reefer driving, tanker drivers can usually load and unload their trailers themselves. This reduces their downtime and lets them get back on the road faster. Along with this, tanker drivers also don’t have to deal nearly as much with equipment. With tank driving there are no pallets, straps, or loading or unloading equipment. You’ll still need your regular tools to perform small maintenance tasks. However, you won’t need to wait at a loading dock for workers to secure your load (or break your back doing it yourself). One thing many drivers enjoy about driving tanker trucks is they are easier to balance. Tank drivers don’t need to worry as much about balancing their loads across their axles or staying under their GVWR. It is possible to overload a tanker truck, but it’s much less common than with dry vans. And since liquid loads tend to move while you drive, balancing it across your axles doesn’t make much difference. Finally, many tanker drivers appreciate that loading and unloading tanks is less physical than loading a flatbed or dry van. You’ll still have to crank landing gear and hook up air hoses, but you won’t need to strap or tarp loads on a windy day. Many tanker drivers have been driving for decades and still enjoy the work as much as they did when they started. One of the biggest downsides to driving a tanker truck is that they’re not easy to drive. Unlike a dry van or flatbed, a tanker’s load moves and shifts with every turn, stop, and lane change. Many drivers refer to this as “surge” - the feeling of the liquid in the tank sloshing when the truck moves. Surge can make it feel like your truck is accelerating too slowly or like it won’t stop fast enough. It can also throw your whole truck off balance if you take a turn too quickly. The key to driving a tanker safely is patience and control. You need to keep your speed low in order to drive safely, and you need to practice in order to learn how to beat the surge. These are skills that you’ll get better with over time, but training and experienced help can also make it easier. Another disadvantage of driving tanker trucks, at least with hazardous materials, is the need to take special safety precautions when loading, unloading, or driving. Depending on the materials these can vary considerably. You may need to wear a respirator while pumping product in or out or even wear a full PVC protective suit. Boost your business with professional advertising today. You may not realize it, but of all the variable costs for a truck owner-operator—such as maintenance, insurance, permits, licenses, and tolls—fuel is your most controllable expense, but also the easiest to waste. So how do you accomplish good fuel economy? Your truck must overcome three things: air resistance, rolling resistance, and gravity. Here are some driving tips to address these issues and avoid wasting fuel. Don’t speed. Did you know it takes about 40-50 more horsepower to drive at 120 kmh than at 100 kph? Higher speed requires more horsepower, which in turn requires more fuel. Experts agree that every km per hour driven over 96 kph reduces fuel economy by one-tenth of a km per gallon. Perform regular preventative maintenance. Along with sticking to your preventative maintenance schedule, check your kilometers per litre each time you fill your tank. If it ever falls, determine the reason. Check your tyre pressure. Once a week, check the air pressure in all 18 of your tyres and air them up to the manufacturer’s specifications. Accelerate slowly. Slower acceleration consumes less fuel and is easier on your equipment. Quick acceleration may get you a few extra seconds, but it creates premature wear on your engine, driveline, and tyres, in addition to increasing your fuel costs. De-accelerate slowly. Slow braking avoids precious fuel from being converted to wasted energy. With hard braking, a lot of the fuel you’ve used to get up to speed is wasted when you apply the brakes. Watch ahead a distance of 12 seconds, and you should rarely have to react at the last split second. Limit your idle time. Idling requires about a 5 litres of fuel per hour. That’s a tidy sum a week if your truck idles for eight hours a day. An extra blanket for when it’s cold outside and window screens for when it’s warm can help limit your idle time. Make sure your trailer is snug to the tractor. Although your ride may not be as good, when your trailer is snug tight to the tractor, you cut down on wind resistance. The fuel savings are worth the trade-off. Buy through the company fuel network. If you work for a trucking company (about 30% of all truck drivers are employed by the trucking industry), buy fuel through your company’s fuel network to control the cost and quality of fuel. To advertise on Truk or get your marketing done, please contact us today to discuss your requirements. Marketing Strategies Letting You Down? No matter how hard you try, are your marketing strategies letting you down? You need to contact us at Truk to assess your marketing needs, and put strategies in place to produce Positive Results for your Company today. You need to concentrate on your business, free from the hassles of bad or inefficient marketing which is NOT benefitting your Company. Truk is professional and effecient and will assist you to get your business out there. Good marketing results in more sales. Ready to join us? Click below and fill in the forms to get started. Do You Want to Follow Your Dream? Building a “Successful Business” is every true Business man’s dream. There are many aspects to a Successful Business, and many important decisions to make daily, but none more so than getting the best professionals to handle your marketing for your business. Make that important decision today, click below and follow your dreams with a smile on your face. The choice has become more critical since the cost of a new over-the-road tractor or midrange truck has climbed.. Manufacturers blame the price increases on government safety and exhaust-emissions requirements, and on inflation of the costs of materials used in building the complex vehicles. Why buy a new truck? Low maintenance and less downtime. Downtime – that’s number one. A half a million-mile used truck might still be OK, but you get to 600,000, 700,000, 800,000 miles, and that’s when things start costing you. 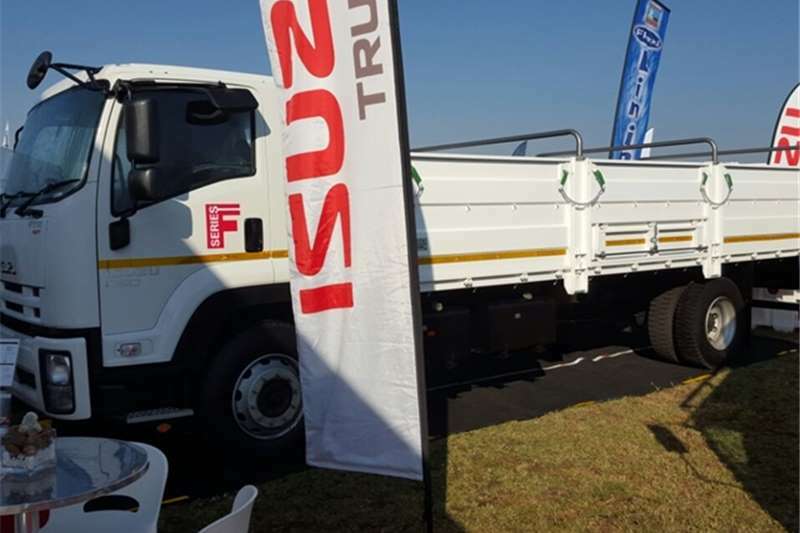 The cost of purchasing is higher, but your maintenance cost is much lower with a new truck.. New trucks have the latest technology that can save on fuel and other operating costs and help avoid accidents, as well as clean up the environment. The selective catalytic reduction now used by all heavy-duty diesel engine makers deals with nitrogen oxide in the exhaust and takes stress out of the engine. But choosing new or used? Depends on the customer and on the application. For instance, someone who doesn’t want to deal with diesel exhaust fluid will have to buy used. A key factor is mileage. Good used trucks cost substantially less than new and can perform well. Just be sure you have the trucks in the proper application – primarily, that your operation is the same or close to what the truck was originally built for. There have been some discouraging times with some of the emissions things we’ve had to contend with. But things have begun to turn around. The air coming out of the exhaust is as clean as can be. It just takes a lot of sensors to make it. New engines with EPA-2010 emissions get better fuel economy than the EPA-2007 engines. However, There’s certainly a risk involved in buying equipment from ’07 and later. It’s viable, but you have to go in with your eyes open, you have to do your homework. Just because a vehicle has low mileage doesn’t mean it’s a creampuff. It might be low mileage because it’s been troublesome. In deciding which used models might be the best buy, talking to the people who service and repair them for a living is a good option. And talk to customers who use them. The Internet is also a good tool. Not everything is true, but there’s a lot of data out there that’s in the public domain. If you would like more information on how to advertise and market your business, or would like a free quotation, please contact us today. Are you looking for a used truck? You'll find a little of everything out there, from rundown trucks suitable to haul trash to feature-rich trucks, comfortable enough to use as daily drivers. It's a given that you'll ask the current owner as many questions about the truck's performance and upkeep as possible, and make sure that all of its systems are working correctly, but there are a few things that shoppers often neglect. If you know what to look for underneath, take the truck where it can be raised in the air for a complete inspection. Some shops will do this for you at no charge or for a small fee. • Look for leaks and damage (or repairs to previous damage). • Check the brakes, drive shaft, U-joints and steering components. • Surface rust on the frame, axles and springs is common, but if you can poke a hole through the metal at any point, or the metal has become weak and brittle, you're dealing with structural rust -- move on to another truck. A truck's flashy wheels, chrome add-ons, a lift kit or a high value stereo might be among the first things you notice about it, but ignore those features until you know what's underneath the trim. • That new paint might look great, but what was the motivation behind the job? Was the original surface dull, with a few scratches, or is the new paint hiding rust and body work? • If it looks like the truck has been driven off-road, how hard was it used? A large percentage of trucks equipped for off-roading never leave the pavement, but the ones that do are often well-worn underneath. I've seen too many people buy a truck on impulse, based on features they think they must have, rather than from a true evaluation of their needs. Making payments on a truck that's too large or too small gets old real fast. Make a list to identify your wants and needs. • Is fuel mileage important, or are you willing to trade good fuel mileage for a larger engine with more power to tow and haul? • Do you need a truck for occasional trips to the home improvement store or to the dump? 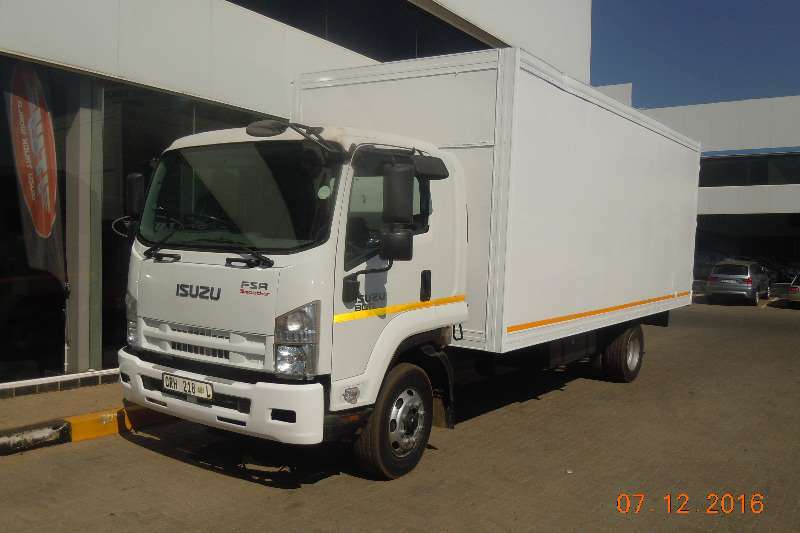 A small truck with decent fuel economy might be the best choice. • Is a 4WD truck a must for the roads you travel every day, or for snowy conditions in the winter? • Do you regularly carry more than one passenger? Jump seats in a small second row are not suitable for more than short trips. • Are you okay with either an automatic or manual transmission? Which accessories and/or safety features are must-haves? Jot down any characteristic that's important to you and take it along when you shop. Don't second guess yourself with the what-ifs. If you've done your homework, shopped around and made a careful decision, enjoy your truck and don't worry about the trucks that "got away." Why Leave Your Marketing To Chance? It is no longer optional to have a Social Media presence as there are over two billion internet users with active Social Media Accounts. If your customers or potential customers can't find you, they WILL find your competitors who are making use of Social Media Advertisig and Marketing. Marketing and Advertising takes up a lot of time, so your best option is to put it in the hand of the professionals, who know what needs to be done. Click on our link below and request a call back. We will gladly set up a meeting to discuss your needs and what will work best for you. Don't wait until tomorrow, time not utilized, is time lost, and you cannot get that back. Cleaning the inside of a windshield is important to improve visibility. However, because of the angle of the windshield and the position of the dashboard, it can be a challenge to clean it thoroughly. Fortunately, the best way to clean windshield interiors is very inexpensive. Fill a bowl or pot with warm water. Add a teaspoon of liquid dishwashing liquid and a few drops of vinegar. Mix thoroughly. Other cleaning solutions include commercial window cleaners, such as Windolene, or rubbing alcohol. Should you wish to join us and sign up for our marketing, please do not hesitate to contact us today to discuss your options. It will be the best business decision you have ever made. Don't make the same mistake some small town businesses make by saying "Whatever is left over, we'll use for advertising." If you don't put enough money aside for advertising and marketing, your sales can and will go down, and suddenly you find you have even less for promoting your business. Marketing should be handled by experts, and that is where we come in. We will handle your marketing for you while you handle your business. Contact us today by clicking the link below to set up a meeting.